Hundreds of students, faculty and visitors filled a multi-purpose room on the WSU Spokane campus for the annual Inland Northwest Research Symposium last week. 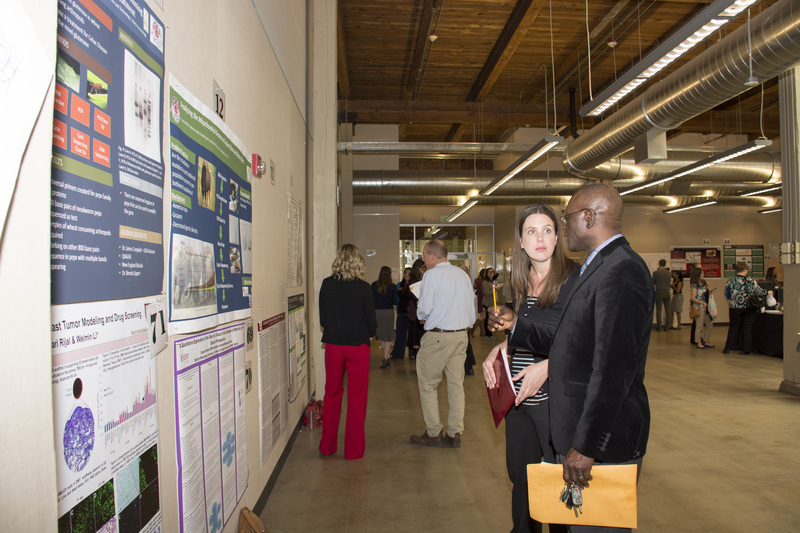 Health sciences students at WSU Spokane and EWU Spokane, as well as students from North Central High School’s Institute of Science and Technology, showcased their work. 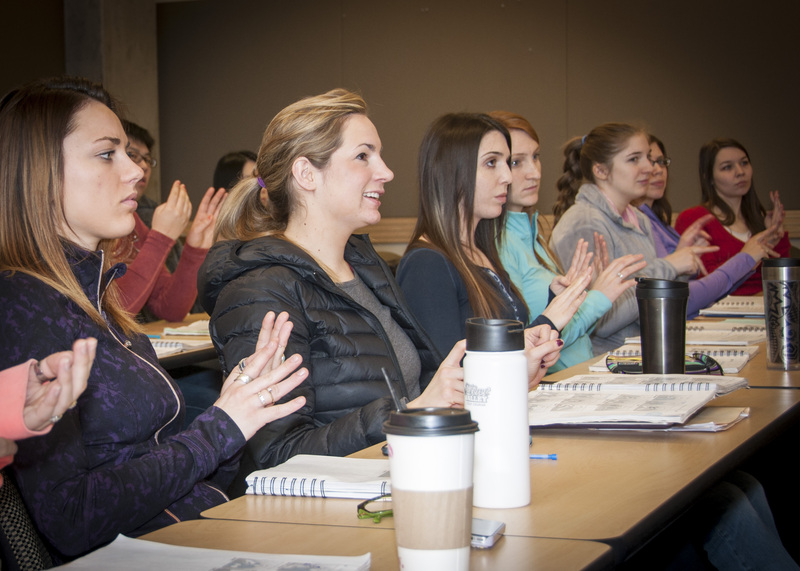 Students from the WSU and EWU speech and hearing sciences and communication disorders programs share an American Sign Language class. On Spokane’s health sciences campus, where most of the departments complement each other, the University Programs in Communication Disorders (UPCD) is a unique case. 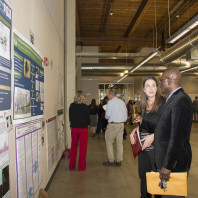 The UPCD partners—WSU’s Speech and Hearing Sciences (SHS) and EWU’s Communication Disorders programs— compete for undergraduate and graduate students who want to train to become speech-language pathologists and audiologists. But once the students are enrolled, they’re embraced by both institutions.